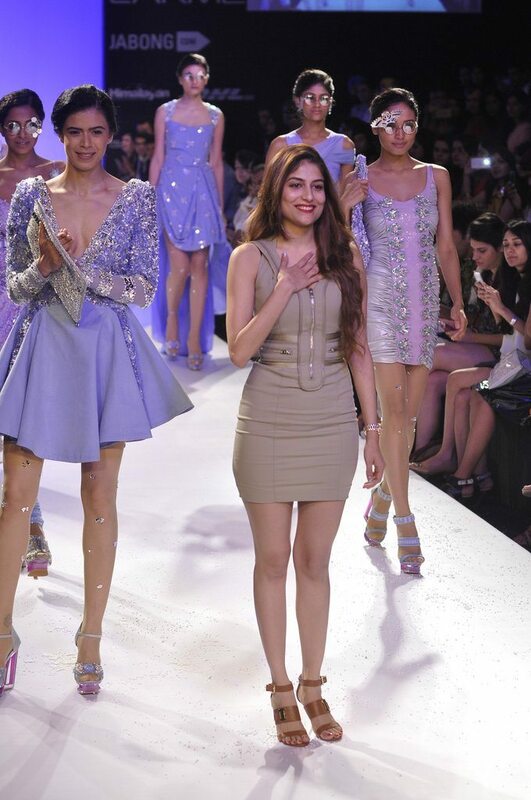 Glam and Glitter cover the runway as designer Shubhika Davda showcases her collection ‘Frozen’. 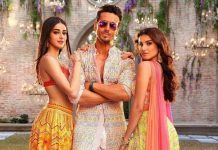 Indian designer Shubhika Davda introduced the latest collection of her label ‘Papa Don’t Preach’ on day 4 of the Lakme Fashion Week Winter/Festive 2014. The latest line of creation was titled ‘Frozen’ and its garments took glamour to a new level with crystal-like glitter dominating the ramp. Shubhika’s collection had little dresses, trench coat dresses, cute frock dresses all entrenched in pastel shades. 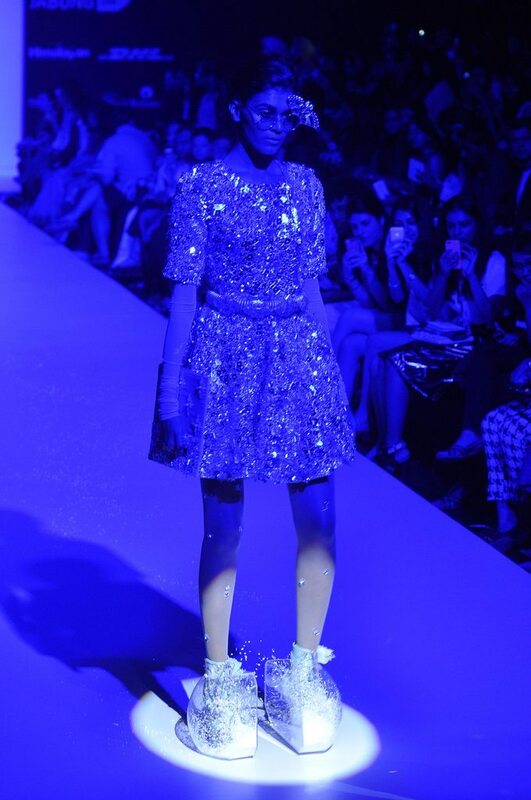 Leggy models strutted the ramp in dazzling ensembles as blue lights added the the whole “Frozen” feel. The Lakme Fashion Week is a bi annual event which showcases designs of some of the most creative couturiers across the country India. 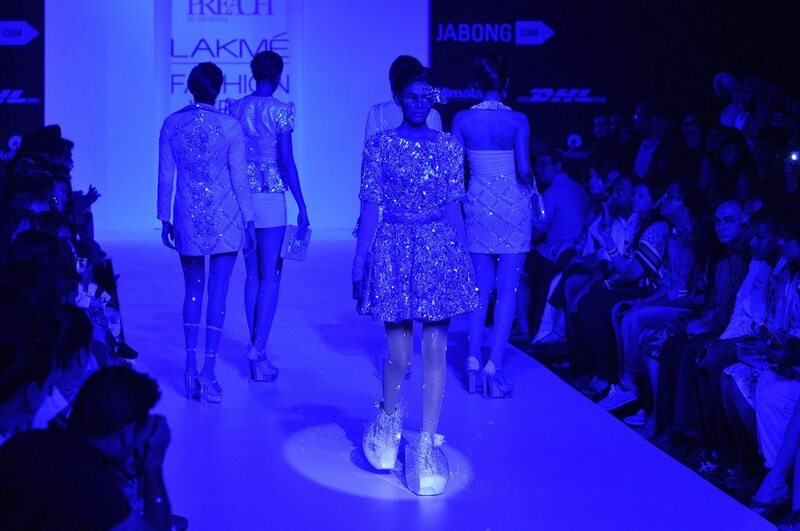 The LFW 2014 started off on August 19, 2014 and concluded on August 24, 2014.